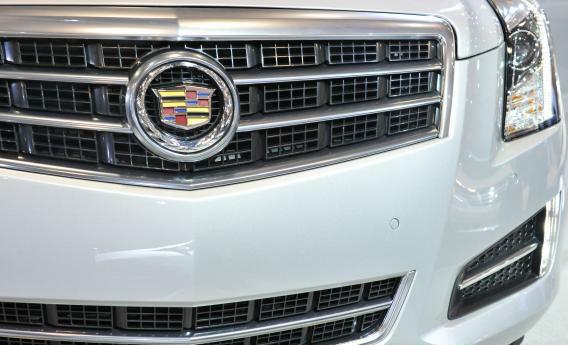 The Grille of the Cadillac CTS is seen on January 31, 2012 at the 2012 Washington Auto Show at the Walter E. Washington Convention Center in Washington, DC. On average the United States has about 0.78 light vehicles (i.e., cars trucks and SUVs) per person which ranges from a high of 1.14 vehicles per capita in Wyoming to a low of 0.34 in Colorado. The Romney family’s two vehicles per capita is pretty high. In a clarifying statement, the Romney campaign wants you to understand that the only reason Ann Romney needs two Cadillacs is her bicoastal lifestye—one’s in California and one’s back east in Massachusetts—so it’s not anything crazy or extravagant. But never fear, the Romneys are also invested in alternative forms of transportation, including dressage horses (stabled, like one of the Cadillacs) in California and valued at $250,000-$500,000.